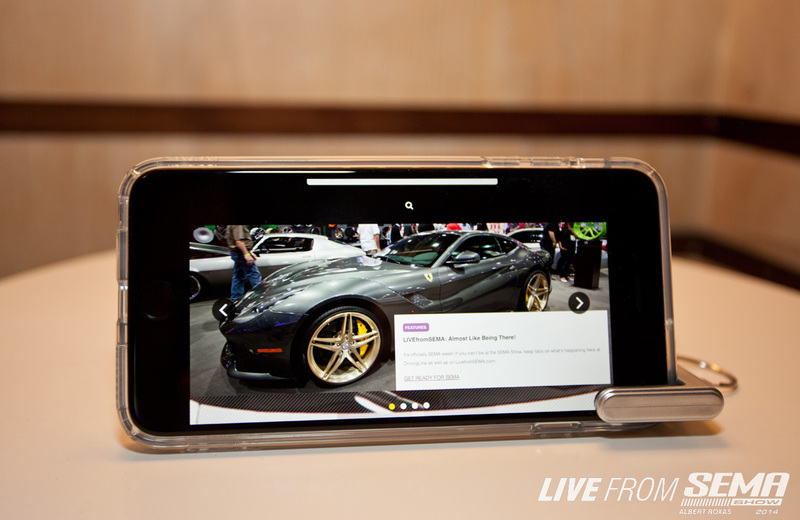 SEMA 2014: Don't miss these 4 Top Giveaways! In my feature Guide To Surviving SEMA, I forgot to mention the immense amount of Freebies this place gives out! Some are cheesy, but hey - who doesn't love free stuff? BMW (yes, the manufacturer!) 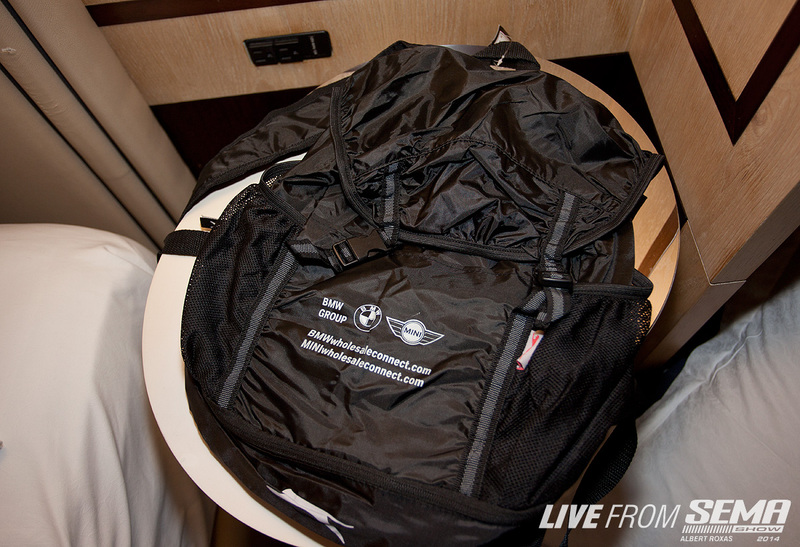 has hit hard with an amazing booth in the wheel and tire hall along with this cool ultra lightweight Slazenger backpack! Perfect for carrying your free schwag around the convention center. 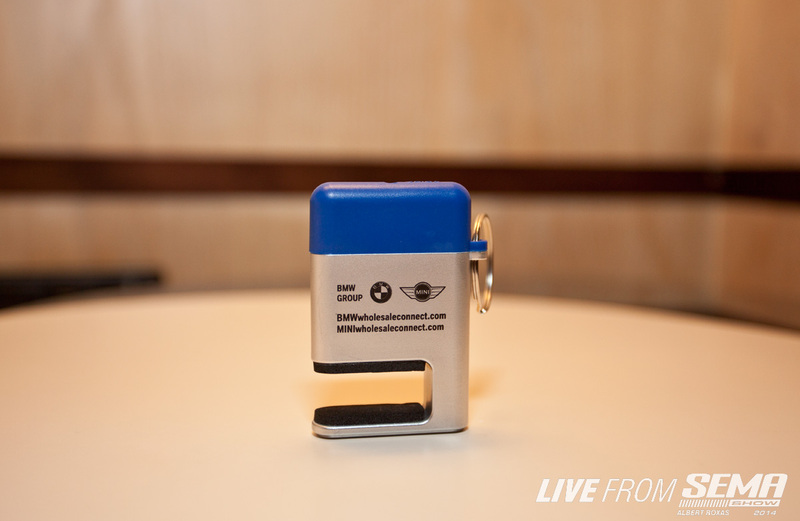 BMW is also giving away this...at first, I wasn't sure what it was. A few of us had a good time trying to see what EXACTLY it was for (not a bottle opener!)... BOOM! It's a phone kick stand!! The blue part also opens up to reveal a cleaning pad for the touchscreen...All courtesy of BMW Wholesale Parts! Mercedes Benz (Yes, the manufacturer!) 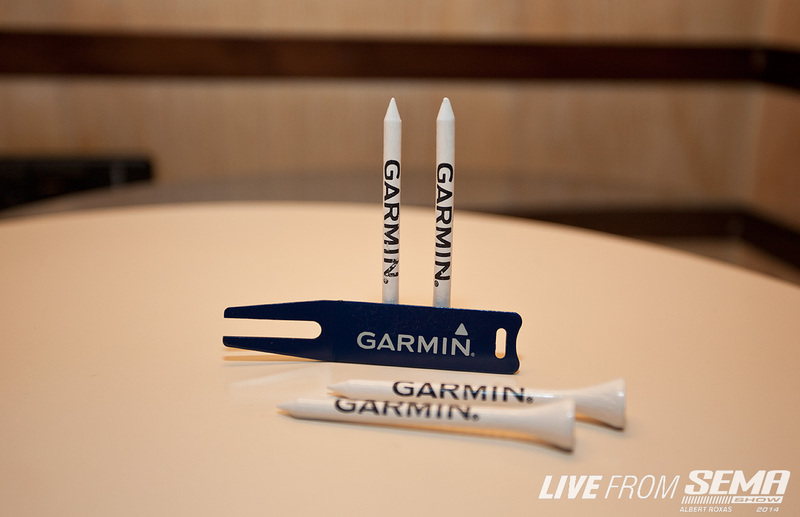 is giving out some cool golf gear! Tee's and Divot repair tool! 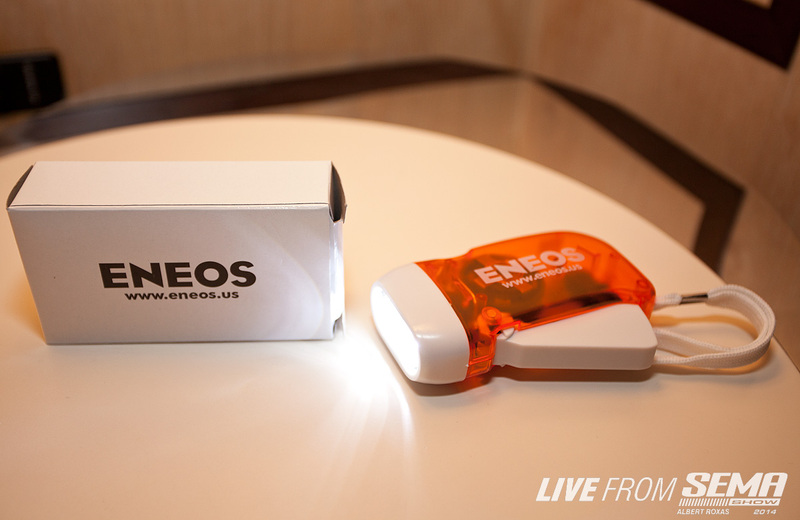 Eneos is giving away a super fresh LED Flashlight that requires no batteries! Just push the trigger in a few times to generate the energy you need! 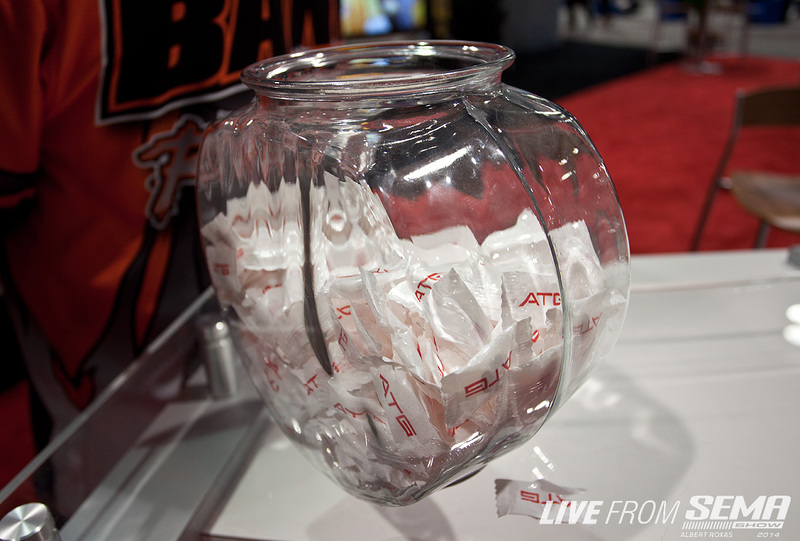 Honorable mention: The nice guys at ATG are giving away mints...I know you're thinking..mints? Well, the people you are talking to will thank you, as will I, LOL. Besides these items, there are literally hundreds of Posters (Model signing opportunity!) re-usable grocery bags, lanyards and other awesome giveaways - Industry Tip: If you decide to "shop" for freebies on Friday, some booths will just giveaway anything they can so they don't have to pack it! LOL. Have a great week and enjoy the free stuff!